You can trust a name like Handyman Garage Doors when it comes to spring repair and replacements in NJ. We have specialist technicians when it comes to garage door torsion springs and extension springs. Handyman Garage Doors has been operating since 2014 in the whole New Jersey area. We have trucks all over Ocean County, Monmouth County, Mercer County, Middlesex County, Union County, & Somerset County. Our slogan is “there is never a job too hard for us to fix”. We have a 100% satisfaction guaranteed policy. Our technicians are both insured and warrantied to make sure the job is done without worry. Our brand promises integrity and loyalty to the customer. We are a full service garage door company specializing in Garage Door Repairs, Garage Door Openers, Overhead Door Installations, and Replacement of Garage Doors. 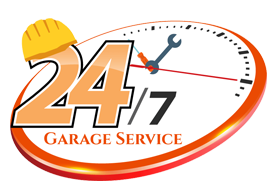 We are a full service garage door company specializing in Garage Door Repair, Replacement Garage Doors and repair of Garage Door Openers. Spring repairs are one of our most common repairs. We fix hundreds of springs a year in New Jersey. As we all know garage doors contain spring systems to help the garage door go up and down smoothly. Springs act as a mechanism that puts less tension on all the other parts. There are two types of garage door builds: Torsion Spring builds and Extension Spring build. What springs do my garage doors use? If you want to know what your garage door uses it is very simple; The easiest way to spot an extension spring is to look at the racks which run throughout your garage and extend overhead (the two long metal bars you have on each side). If they have a spring on both sides parallel to one another you know you’re using an extension spring system. Likewise, finding a torsion spring is just as easy. Look on top of your garage (where the door begins to go up) if there is a large looking spring with a bar connected to the drums and rollers you are using a torsion spring. There is several differences between torsion springs and extension springs. First, torsions are sturdier and last much longer. They generally cost more but as opposed to getting 10,000 cycles as an extension spring they can last between 15,000-20,000 cycles. Extension springs can sometimes cause a jerking motion as the garage door goes up and down because they have a less sturdier motion to them. Nonetheless, This motion can cause troubles with garage door alignment and can require adjustment by a technician. Torsion springs have their obvious advantages but both systems work great! When an extension spring breaks it can be more dangerous than a torsion spring. Hence, if there is no safety cables in place the spring can go flying breaking car windows, garage windows or even cause harm to you. When torsions break you’ll hear a loud bang but most probably because the door dropped or the torque has been released. Above all, broken springs are a serious problem, make sure to call a professional such as Handyman Garage Doors at 732-822-0778 to come for assistance.